Kavkaz. Contemporary art from Japan. Kasabian. Livre d`artiste. Marga. Dawn of innocence by Nouvelle Vague. The music of Mendelssohn. International festival dedicated to Mstislav Rostropovich. “Anarchy” The Sovremennik Theatre. Miss Julie The Theatre of Nations. March 8th, the Soviet version of Mother’s day, honoured all women irrespective of age and social status, with flowers, candy and other gifts, and is religiously observed by most of Russians. The author, Jon Hellevig, is a lawyer from Finland who has worked and lived in Russia since the beginning of 1990’s. A friend of mine has a view about the current presidential election which illustrates the fundamental dilemma which Russia faces today. Learning of our plans to marry, the Soviet authorities sent army recruiters to Kostya’s house in Leningrad region. A dance which is famous all over the world has now found admirers in Moscow. 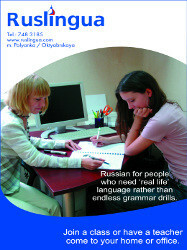 Foreigners who are visiting or temporarily residing in the Russian Federation are entitled to operate motor vehicles. It was 10 years ago when we first visited the town of Tutaev. Since that time it’s been my dream to stay there longer than a day. You don’t need to have mastered much of the Russian language to know that the name "Ukraine" is derived from the word "Krai", edge. There are a lot of balls in Moscow, and they are in full swing. This compact but lively gallery specialises in promoting artists from the recently overshadowed late Soviet era. Pub quizzes are up there with cake and circuses for the western masses, and an object of considerable curiosity for our host peoples. 10 Good reasons why this is our investment of choice. Mama mia! – not paintballing again! Life in Moscow as an expat may be inviting, but also challenging. 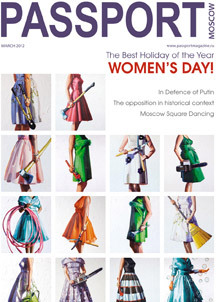 With March in Moscow hosting Women’s Day and elections, a few themes and curiosities come to mind. Some woodcutters were in a pine forest in winter. The mountain torrent was hanging motionless in air, for the Ice-King had kissed her.